All Saints’ is an 11-18 Catholic Academy in Mansfield but serves a very wide area from Worksop in the north of the county to Newark in the south. In 2015 the school was inspected by the Diocese Inspection Team and was graded as outstanding. The school achieved a very successful Ofsted report in 2017 – we were graded good with some areas of the school seen as outstanding. Behaviour and standards were highly commended by Ofsted. The Academy’s ethos reflects firm gospel values; we should use our God given talents to ensure we do the best we possibly can and the drive to be the best possible individual is key to our success. The Academy motto is “We Shall Serve” and as such the school fosters a view that students are here in school to serve themselves by doing the best they possibly can and to serve others by supporting within the school community and outside through their daily work. Some of our current students represent their regional and national teams in football, rugby, swimming and cricket for boys and girls. Performing Arts is another vibrant area in our school. We have two major productions every year with some fantastic reviews and our drama students run workshops with all our feeder primaries. We have our own 4th Wall theatre company which leads the productions with a growing reputation in the local and regional area. School results at both Key Stage 4 and 5 place the school as the best in Mansfield and one of the best in North Nottinghamshire. 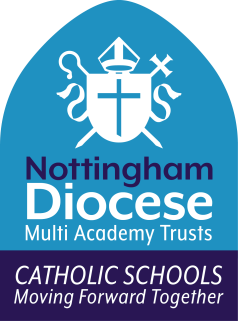 A recent best schools guide survey put All Saints’ as the 4th best in the whole of Nottinghamshire. Our sixth form has an excellent reputation and offers mainly A levels across a wide range of subjects.